The Tatti provides many facilities for the devotees who come to visit Tirumala Venkateswara Swamy Temple. The new mobile application has been made available with advanced technology. 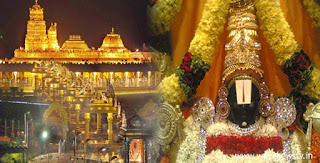 Since Tirumala Sriravi Darshan Tickets are not required to turn around the TT's offices. With this app, you can book tickets online anywhere from anywhere. You can get TTD services easily with Mobile App called Govinda. This app should be downloaded from Google PlayStore. Sreevari has made Rs 300 view ticket, room booking, e-handi and e-donation facilities through App. Tirumala Tirupathi Devasthanam made the app with the courtesy of TCS. The duration of the duration of the duration of the visit can be booked on mobile phones. In Google PlayStore you will need to download and install the cover of the Govinda name with the name of Govinda-Tirumala Tirupathi in English and click on the Registration period at the bottom of the App cover. You should enter your name, address, pin code, identity type, identity card number in the column that appears. PAN card, ration card, passport, driving license, voter card, Aadhaar card should be selected. That card must enter the number. You should only enter your e-mail id in the username column. Then you have to create a password above 8 characters (make sure you have the letters like English letters, digits, star, ash). If you enter your mobile number and click the submit button, the registration will be completed.